Essay writing, whether for a career or a school work due not later this evening, is of utmost importance. It lets you direct your ideas at a targeted audience through a packaged 500-800 worded material. Many scholars claim that essay writing is an art, owing to its customizability and a whole lot of styles and forms on which it could be patterned. Though it could be seen as a way of expression of belief and thought, it still follows a strong foundation of rules. These rules that had stood the test of time can make-or-break one’s prized essay when not taken into serious consideration. Here are the traditional steps in essay writing, and the common mistakes writers make. What must be done: To whom you direct your work? A good writer takes into consideration his targeted audience. He must be able to put his audience into his shoes, knowing their feelings and interests. Responsible writing demands that it should be audience-centered, not writer-centered. This means that words, phrases, facts, and situations must not only be understandable and clear to your audience but also something they will find “value” in. Common mistake: Failure to consider your audience is analogous to failure in writing. Usage of jargon words, phrases, and facts that do not suit your audience greatly impacts its usability and effectiveness. Always remember that your value as an essay writer depends on your ability to make people have informed decisions and judgments when they face the same scenario later on. What must be done: Think about great basketball coaches, in Larry Brown or Phil Jackson. These well-renowned tacticians see to it that their teams will run a particular type of “offense” on which their points of attack would come from. This goes the same with essay writing. One should be able to properly organize his thoughts, and make connections and links in between. Remember that putting too many facts and content could make readers tired or bored. Knowing which type of content matters most, and planning on how to properly establish connections is key. Common mistake: An unplanned essay is like an unfinished road, leading you to no direction. This is due to failure to dedicate time to research, resulting in rushed statements or unrelated sentences which were forcefully fit into a paragraph. What must be done: Your thesis statement has a lot to do in informing your readers what the essay will be about, and your arguing thought. You must formulate a thesis statement that states the topic, as well as the main ideas behind it with conciseness. A good thesis statement example would be, “Kobe Bryant’s legacy will live on forever, owing to his five championship rings.” The topic is all about Kobe Bryant’s legacy, and its main point is how it will live forever due to the five championships he has won throughout his career. Common mistake: Some writers fail to realize that a thesis statement not only includes the topic but also the point of the essay. In relation to our above-mentioned example with Kobe Bryant, a poorly constructed thesis statement would appear as “Kobe Bryant’s legacy” As you can notice, using this kind of thesis statement would make the essay appear too broad and uninteresting. Tip-ins: Contrary to public belief, thorough research suggests that the essay’s body be first to that of its introduction when constructing one. The reason is that once you have finished the body of your essay, which is comprised of several paragraphs each having a main idea and supporting sentences, you can now select an exciting, and captive introduction that will hook your audience’s interest based on the body’s content. Remember that your essay’s body should be exhaustive as possible, covering topics related to your thesis statement. Meanwhile, your introduction should be an attention grabber; it could be a timely story or a shocking information. Common mistake: I am in no way neglecting the conventional way of making an introduction first, before the essay’s body. What I cannot condone is the seemingly lack of connectivity between the essay’s introduction, body, and thesis statement, which most writers fail to realize. This disrupts the rhythm of the whole essay as it could jump from one idea to a seemingly out-of-context one. Turning point: Bear in mind that your conclusion could be the turning point of success for your essay. Essays that end with a “bang” are those that have strong ending statements, particularly the conclusion. It should not look as if you are trying to add another thought to your essay, rather it should sum all earlier points you wrote in the body. Opportunities to improve include that of checking for consistency in tenses, filling incomplete sentences, and checking for spelling and grammar errors. All of these, combined with a strong introduction, complete body, and captive thesis statement would surely inject a dose of success in your essay. Common mistake: Having quality content with a weak concluding thought is an absolute waste. Readers would tend to remember the finishing statements you used in your essay. Also, some writers tend not to revise or check for spelling and grammar errors once they are done, which leads to inferior results since readers not only look for quality content but also the basics of the language. 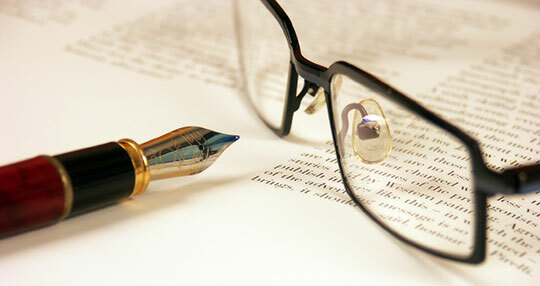 An effective essay is something which brings value to its readers, may it be the content or the narrative. Good writers run complacency; they always actively search points for improvement. A good essay displays characteristics aforementioned in the previous guidelines. Failure to secure one of those would be detrimental to the essay’s objective of conveying prized information. Lastly, good writers continuously innovate, never succumbing to defeat. This article is written by Joe Baldwin. He is a native US resident & professional Article writer for https://essaylook.com. He studied English literature and creative writing. He has experience with online web content including blogs, web page content, news, public relations, press releases, and long form sales and industrial presentations.